Maintenance dialogs are the system generated programs that allows you to add,change and delete records in your table using SM30 SAP Transaction code. 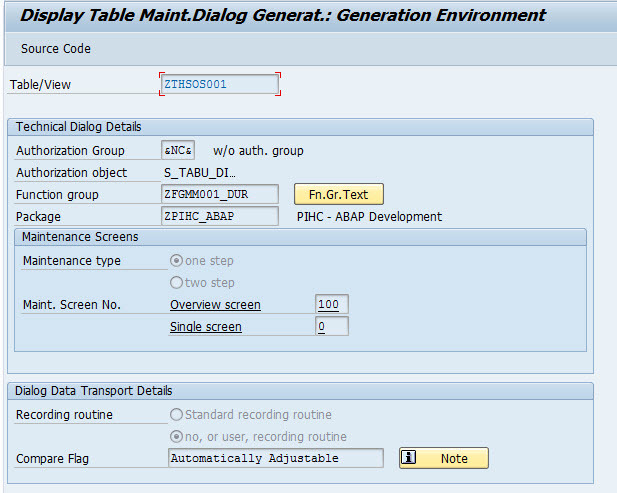 To create a maintenance dialog/ table maintenance generator , open your table for changes using SE11 SAP Transaction code. Note :Please don’t forget to change Delivery and Maintenance -> Display/Maintenance Allowed . The next step to create maintenance dialog, select Menu Utilities -> Table Maintenance Generator . the new screen will open, on this screen you should select AUTHORIZATION GROUP or choose &NC& to avoid having an authorization group. The Function Group text box should contain a name relates to your table. but you can entered any name of function group. You can choose maintenance type one step and entered Screen Number in Overview screen. then press button CREATE. Now you have table maintenance generator, you can test it via SM30 Transaction code.